Editor's Note: This first appeared in BigGovernment.com. We have oft discussed the Orwellian manner Leftists do, well, everything. And specifically how they go about naming their gaggles – the groups they form to advance their Leftist agenda. 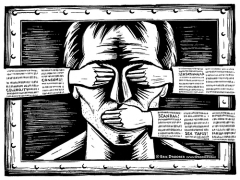 The Media Marxists looking to eradicate all private ownership of news and communications – so as to have the government be your sole provider of news and communications – are a part of the Leftist misdirection that calls themselves “public interest” or “consumer interest” groups. What could be better – and less innocuous – then that? There's a new speech sheriff in the town of Fresno, California, and they want to silence conservative talk radio. And they'll say or do whatever it takes to get it done. New "community group" Citizens for Civility & Accountability in Media (CCAM) is super-peeved at Fresno, California radio station KMJ for having the temerity to broadcast (on their two stations) conservative talk radio hosts to whom people want to listen. Because, you see, it's "hate speech" - according to CCAM. And therefore, KMJ should "alter their programming" (read: change their content by silencing conservatives) "in order to curtail practices that we believe to be damaging to our social fabric and to civility in public discourse." It would seem the residents of Fresno do not believe that Rush Limbaugh, Mark Levin, Sean Hannity, Glenn Beck and others on KMJ are "damaging to our social fabric and to civility in public discourse." But that could not matter less to CCAM. Supreme Court nominee Elena Kagan wrote in a 1996 article entitled "Private Speech, Public Purpose: The Role of Governmental Motive in First Amendment Doctrine" that "redistribution of speech" is not "itself an illegitimate end" for government. "If there is an ‘overabundance' of an idea in the absence of direct governmental action -- which there well might be when compared with some ideal state of public debate -- then action disfavoring that idea might ‘un-skew,' rather than skew, public discourse." So if talk radio suffers from an "overabundance" of conservative voices, government action to "un-skew" this particular public discourse is just fine by her. Hello so-called "Fairness" Doctrine. Not to mention Federal Communications Commission (FCC) Diversity Czar Mark Lloyd's liberally "skewed" interpretations of FCC "media diversity" and "localism" rules. Last Thursday, on his unwatched and unwatchable MSNBC television program, Equine Ed Schultz stepped into his Leftist Wayback Machine for a little retro-censorship. With the intent of bringing it back to the future. Schultz made his latest call for "fairness" by citing the patently absurd 2007 "report" The Structural Imbalance of Political Talk Radio. Which was co-published by the George Soros-funded Leftist "think" tanks Center for American Progress and (the Marxist-founded) Free Press. We have in fact dismantled this "report"for its deep-seated and inherent fraudulence. It asserts that talk radio is too conservative - and that we need oppressive government regulations aplenty to remedy the situation. However, it cooked the books from the outset - excluding uber-liberal National Public Radio (NPR) from their analysis pool and then drawing their fraudulent conclusion. It was co-authored by the Hugo Chavez-loving, "white people" need to be forced to "step down" "so someone else can have power" asserting Mark Lloyd - who is now the Federal Communications Commission (FCC)'s first ever "Chief Diversity Officer." Just one of the many honest brokers involved in this wholly dishonest endeavor. Chavez Arrests Last Opposition TV Station Owner; Latest Ex. of What FCC Diversity Czar Lloyd Called Taking the Media Seriously? Is this what Federal Communications Commission (FCC) Chief Diversity Officer Mark Lloyd meant when he said (on camera) Venezuelan thug dictator Hugo Chavez (take that, Sean Penn) had begun "to take very seriously the media in his country"- while praising Chavez's "incredible...democratic revolution?" The Associated Press (AP) late Friday night reported "Chavez criticizes US as arrests stir concern." Which plays down the lede in the headline, but gets right into it in the story itself. Venezuelan President Hugo Chavez on Friday defended the arrest of a major TV channel owner, calling him a criminal and denying the government is carrying out an assault on press freedom. The back-to-back arrests this week of two government opponents - including the owner of Venezuela's only remaining anti-Chavez TV channel - have drawn accusations that Chavez is growing increasingly intolerant and authoritarian as his popular support has slipped. Opposition leaders and human rights groups condemned Thursday's arrest of Globovision's owner Guillermo Zuloaga, who was detained at an airport and released hours later after a judge issued an order barring him from leaving the country. Zuloaga is accused of spreading false information and insulting the president at an Inter American Press Association meeting in Aruba last weekend, Attorney General Luisa Ortega said. As the piece indicates, this is but the latest example of Chavez taking "very seriously the media in his country," in Lloyd parlance. Which is woefully at odds with freedoms of speech and the press. Which is fine with Lloyd, because so's he. UPDATE (below the fold): Fox News Channel's Sean Hannity referenced the video from this post on his January 20th show. The Word of the Day is: Context. "When you think about the First Amendment...you think it's highly overrated." Emanuel said this to an unidentified entertainment reporter (I did not toil too strenuously to ascertain his identity). But said scribe seemed a little bewildered by Emanuel's assertion, despite the obvious mirth in Rahm's face as he delivers the line - at the Correspondents' Dinner. The irony appears to escape the man with the microphone. But given how the Administration has gone on to handle all things First Amendment, perhaps this journalist is not humor-addled, but prescient. Let us now place Emanuel's remark into the proper Administrative context. Fox News Channel and radio talk show host Glenn Beck has quickly risen to be one the most prominent targets of the Left. Radio Talk King Rush Limbaugh is Liberal Enemy #1; there's a strong case to be made that Beck is now running second. One of the myriad feeble way's the Left attempts to deal with Beck - or any conservative - is to dismiss him or her as a liar, without any facts to back up said claim and often in the face of overwhelming evidence provided by the conservative in question. Beck is spending this week on his FNC show revisiting the copious reams of evidence he compiled over the course of the last year - as he laid waste to one liberal nostrum and public official (Czar, if you will) after another. And who did Beck choose to have bat lead off in his "Let's Hammer Home the Truth" week? How Do You Know Mark Lloyd is Lying? Editor's Note: MRC President and NewsBusters.org Publisher Brent Bozell earlier today issued a statement on this. Mark Lloyd, the Federal Communications Commission (FCC)'s Chief Diversity Officer, made an appearance outside the confines of the communications Bat Cave yesterday. He keynoted a morning panel discussion entitled Social Media, Net Neutrality, and Future of Journalism for the liberal group (and FCC "Diversity" Committee member) Media Access Project. I highlight his emergence because his boss, FCC Chairman Julius Genachowski, has declined to make Lloyd available for interviews, saying he as Chair speaks for the FCC and his staff. (A position which I think is completely fair and appropriate.) So it is rare to see him out and about. Lloyd in fact began his talk by stating "The views I express today are my own. I do not speak for the Federal Communications Commission." Which is also fine. What wasn't fine was his deep delving into untruths when he later attempted to defend himself against what he claimed were "exaggerations and distortions" of a wide range of his thoughts, positions and policy prescriptions, from what he called a "right-wing smear campaign." In old school parlance, Lloyd lied. Quite a bit. And how do we know this? Yesterday in a speech for the Media Access Project, Federal Communications Commission (FCC) Chief Diversity Officer Mark Lloyd claimed to refute numerous what he called “exaggerations and distortions” of a wide range of his thoughts, positions and policy prescriptions from what he called a “right-wing smear campaign.” What Lloyd did was offer numerous falsehoods and denials about things that are undeniably true. For example, Lloyd has insisted that a "right-wing smear campaign" was "distorting [his] views about the First Amendment" when in fact, in his 2006 book "Prologue to a Farce," Lloyd plainly made clear his view that the freedoms of speech and press were "all too often an exaggeration" and that "the purpose of free speech is warped to protect global corporations and block rules that would promote democratic governance." The Wall Street Journal's intrepid and very good Amy Schatz has a piece today updating us on the progress of the Federal Communications Commission (FCC)'s National Broadband Plan. With all that we have thus far seen, things look quite grim from a free speech, free market perspective. 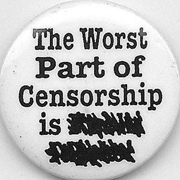 The groundwork for government information totalitarianism - favored by people like Hugo Chavez-loving FCC "Diversity Czar" Mark Lloyd and Marxist "media reform"-outfit Free Press founder Robert McChesney - is being laid in the Plan being crafted by FCC Chairman Julius Genachowski. As we first reported, the Center for American Progress (at which Lloyd was then a Senior Fellow) and McChesney's Free Press co-authored the deeply flawed, anti-conservative and Christian talk radio "report" entitled The Structural Imbalance of Political Talk Radio. But their shared disdain for free speech and the free market extend way beyond just this. These "media reformers" seek to eradicate most or all private ownership of all information delivery - be it by radio, television or the internet - thereby leaving the federal government as sole purveyor. We wrote Monday of Leftist, George Soros-funded "media reform" outfit Free Press, and their extensive relationships with people currently in power at the Federal Communications Commission (FCC) and in the White House - up to and including President Barack Obama. 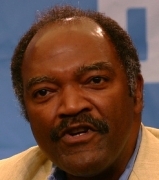 With current FCC Chief Diversity Officer ("Diversity Czar") Mark Lloyd and the Leftist, George Soros-funded Center for American Progress, Free Press co-authored the 2007 report The Structural Imbalance of Political Talk Radio. Which calls for the FCC to enforce exceedingly broad (we would say warped) new definitions of the media diversity and localism FCC broadcast license requirements. These new definitions and their enactment are intended to force conservative and Christian talk show hosts off the air, to be replaced by those of a Leftist bent. Free Press developed then-presidential candidate Obama's communications policies portfolio. Now-President Obama's FCC Chairman Julius Genachowski hired Free Press Press Secretary Jen Howard to serve in the same capacity for the FCC. And Marxist 9-11 "Truther" Van Jones - who was President Obama's "Green Jobs Czar" until his multi-layered, anti-American and paranoid past came to light, forcing him to resign - was a Free Press Board member until 2008. We also mentioned Free Press's co-founder, college professor and avowed Marxist Robert McChesney. (Some fairly interesting video quotes from him at right; inordinately interesting print quotes from him below the fold.) If you have not yet already had enough Marxism and Marxists, please - read on (warning - there's a Reverend Jeremiah Wright on-video sighting beneath as well). Founded in 2002, McChesney's Free Press seeks to transform the media landscape - on radio, television and the internet - via (amongst other ways) sweeping rules changes at the Federal Communications Commission (FCC). Changes that would dramatically decrease private ownership of the means of news and information delivery, with the federal government assuming an ever greater replacement role. One intended effect of this shift away from free market media to government-owned media is to diminish what Free Press sees as the inherently right-wing slant of the news that results from corporate ownership. (Have they watched NBC, ABC or CBS - ever?). And in their warped view of the media landscape, conservative and Christian talk radio (which is not news but self-identified opinion) is the most egregious example of this alleged corporatist taint. Free Press has spent the last seven years developing policy prescriptions and working with like-minded policy and public officials that would make this hoped-for transformational change a reality. And their allies are now in place and in power - at the FCC and in the White House.